Aging is something that we all inevitably face at one point or another. With aging also comes a myriad of things that are unfortunately not that good. One of those is increased instability and poor balance, which is where a good quality rollator walker provides you with independence, balance and support, plus the ability to be able to get around and be independent without relying on family or friends for help. 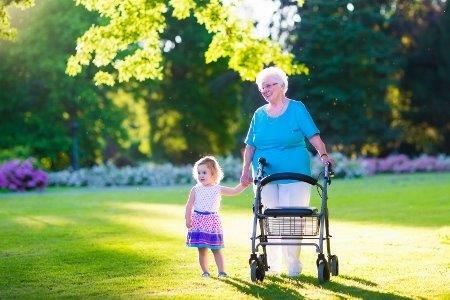 A walker is a tool used by the elderly who have issues with stability or balance while walking. They were first seen during the early 1950s and the first patent filed for such, was way back in August 1949 where it was listed as a walking aid. Walkers are usually waist high and have a lightweight design. There are, however, other walker types too that are built for children or obese people. Lately, walkers have also begun appearing in adjustable models. This allows the user to adjust the height depending on the level of comfort they need. Rollators, also known as wheeled walkers, were seen around 1978. It was invented by notable Swedish polio sufferer, Aina Wifalk. 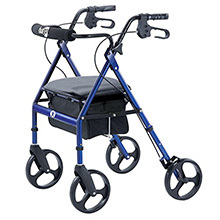 Rollator is actually a brand name but has become a more generic term for the wheeled walker. Rollators are very famous in European countries and come in 3 or 4 wheel variants. These are the most popular rollators. 1,802 Customer Reviews More Details! 1,882 Customer Reviews More Details! 843 Customer Reviews More Details! 1,122 Customer Reviews More Details! 763 Customer Reviews More Details! 512 Customer Reviews More Details! Rollators are most appropriate for people who are able to support themselves and want to be independent and appreciate the greater degree of security, safety and support a rollator brings. The added mobility helps these people travel further and also offers a seat to help them take a rest and regain energy when they get tired. 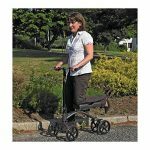 For people who really have difficulty moving around, the traditional walker design is the preferred option. Rollators have 3 or 4 wheels whereas the traditional walker only has 2. 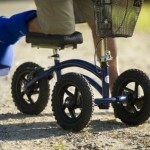 The extra wheels serve to increase the user’s mobility. Hand brakes are usually present as a precaution. 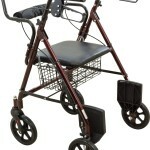 Rollator walkers usually come with seats that are cushioned. This allows the user to rest when they feel tired and need a small rest to recuperate. Additionally, some seats also feature back supports which make them even more comfortable. The device usually comes with a shopping basket. This gives it a dual-purpose making it more cost-effective. 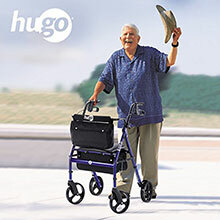 Also, the rollator can be folded easily when not in use. This makes it really easy to transport or stow away. The rollator walker has an adjustable height. Whenever you feel uncomfortable, you can always adjust its height until you are. 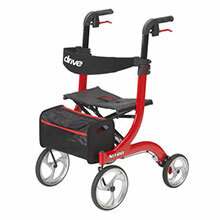 Plus, you can share the rollator with other family members or friends when the need arises. Since the height is adjustable, even kids with ailments can use it. 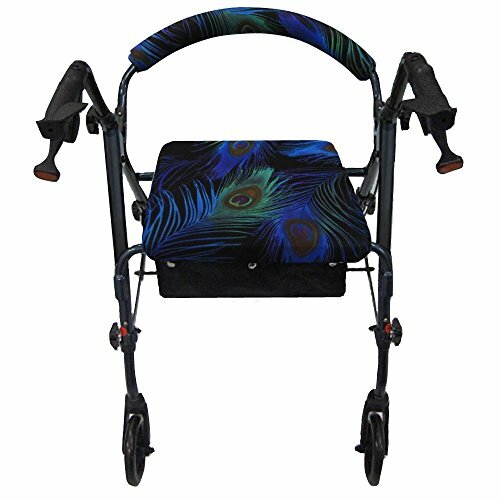 Another part of the rollator which is customizable is the backrest. One can opt to install backrests that cover the entire back or simply a bar that supports the back. Likewise, these backrests can be folded down or up as you please. Additionally, any adjoining accessories can be replaced with ease. 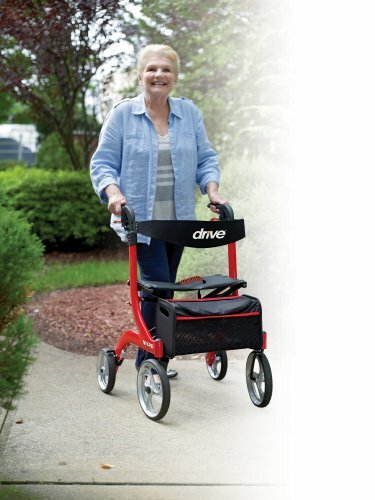 Despite being lightweight, rollators are built to be sturdier than conventional walkers. This makes them safer and last longer. Rollator walkers are also known to carry weights of at least 300 pounds. Some have been tested to withstand 500 pounds or more. As mentioned earlier, rollators are suitable for people who can move around and want to feel safe and secure with the support that a rollator walker provides. One can never tell when their legs will suddenly bail on them! When this happens, most rollators have a safety feature of activating the brake when weight is pushed down on the device. This would signify that the person has lost their stability and is in need of help. Without the automatic triggering of the brakes, the rollator would move forward and the user would lose control of it and also their balance. People who were mandated by their doctors to purchase a rollator walker can have their insurance companies reimburse the cost of the device. If you have a serious condition that requires a need for such device, be sure to bring it up with your insurance rep.
By helping you walk further, longer and better, you become stronger, more independent and active. Your muscles, as well as your heart will appreciate the added workout you give it. Available in three or four wheel variants, rollators have more wheels than walkers. These are used for added mobility as well as stability. 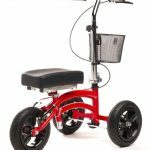 Large wheels are usually preferred since any uneven surfaces can be traversed with little to no problems. With added mobility also comes risk. That’s why rollator walkers come with brakes. Aside from sending the device to an abrupt stop, brakes are also useful for swerving. By braking on one side and turning the device that way, the user can perform tight turns with ease. The seat is a key part of the rollator walker. The seat allows the user to rest whenever they please. If they arrive at a place with no seats available, they can simply sit on the rollator’s seat. Sometimes, the seat doubles as a shopping basket wherein the seat is actually the lid of the shopping basket. A three wheel rollator walker is used by people who have decent levels of mobility and only need a little support. This is because the 3-wheel rollator has no seat to rest on. 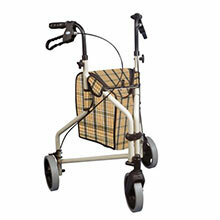 A four wheel rollator walker on the other hand, offer extra comfort and safety. The addition of another wheel makes it much more stable and that’s why it will come with a seat. 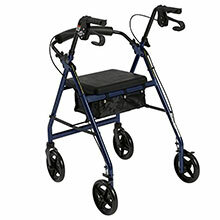 Additionally, three wheel rollator walkers are much more compact and lightweight. They’re perfect for those who travel a lot. Wheels can come in either of these formats. Rubber wheels are the standard ones and are perfect on even terrains whereas air wheels are great on uneven surfaces. 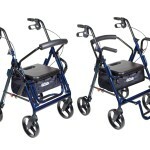 A rollator walker will come with either one of these. These things are very useful as you can store items here when traveling. Those that come with shopping baskets are usually sturdier but can also be a bit bulky. 3-wheel types that typically don’t come with seats and shopping baskets usually have saddle bags. Curved back rails are usually the norm for rollator walkers. However, some people also find straight back rails more comfortable as it resembles sitting on an actual chair. Seat Covers: For those who are fond of accessorizing, changing the seat and backrest cover can be a great way to show off your mood. 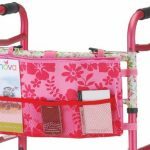 The big plus here is, you will easily recognize your walker amongst the others….There are tons of covers available out there ranging from floral patterns to movie themed ones. Cup Holder: For some, it isn’t enough that they have a portable chair ready. Some use it for everyday meals and beverages as well. 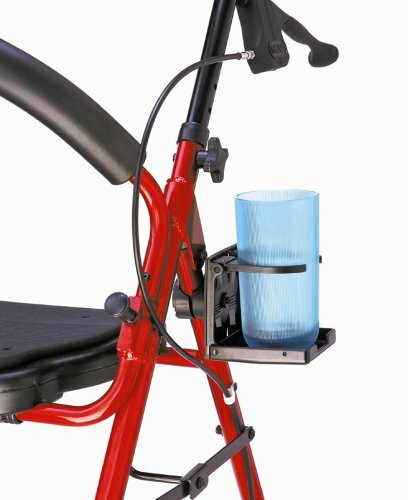 Convenient cup holders fold up when not in use and stay out of sight until the next time you need it. 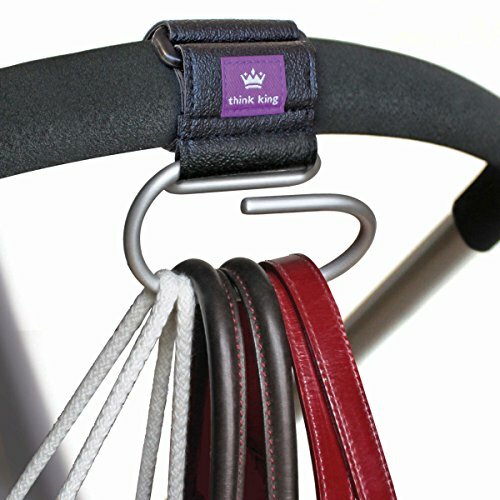 Swirly Hooks Hold Multiple Bags: This Think King Jumbo Swirly Hook for walkers is yet another neat accessory that can help you keep your shopping, hand bags or any bags neatly and safely attached to your walker without worrying they will fall off…keep them all close at hand. These swirly hook holders are quite wide, allowing you to carry a wide variety of bags. Holster: For those who carry canes or umbrellas around, the holster accessory is perfect for you. These polyethylene storage units are extremely durable and won’t make a scratch on your cane or umbrella. A rollator walker usually has a weight specification on it. Be sure the one you buy is able to carry your weight as well as any added weight that the shopping basket or saddle bag could carry. It isn’t ergonomic for you and your back if you hunch over your rollator. The handles should be within reach and should cause your elbows to be slightly bent. Be sure you factor this in when picking one out. 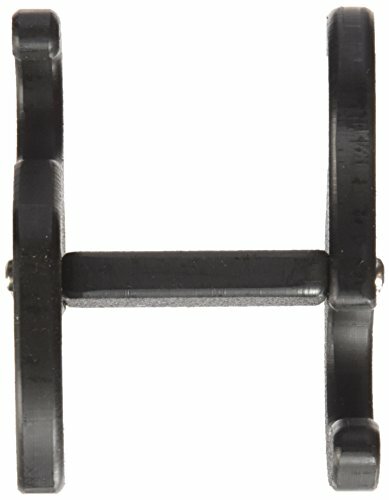 In order to save you trouble, you can also pick out rollators with adjustable heights. 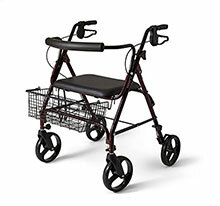 The walker should have a wide enough seat for you to remain comfortable while idle. 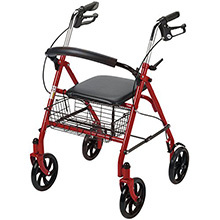 A rollator walker is usually built to be both indoor and outdoor. However, manufacturers do have a tendency to favour the outdoor customers. As such, be sure you measure the rollator walker width and see if it can traverse your home’s doorways and corridors with ease. 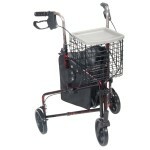 Try to read reviews of each rollator walker as well prior to purchasing. You might get an idea of how good the manufacturer’s customer support is. This is very important especially if you are one to ask questions and seek advice.